Everyone is used to seeing the floats, balloons and of course, the jolly old soul himself at the annual Raleigh Christmas Parade. But this holiday season ABC11 and Shop Local Raleigh are bringing something new to the decades-long holiday tradition. The Christmas Village Market will be in action on Market and Exchange Plazas from 8 a.m.-12:30 p.m. for you to get a head start on your holiday shopping. Seventeen vendors are bringing their handmade goods, clothing, art and more for you to peruse while you enjoy the sights and sounds of our community. Stop into Elizabeth and Nichole’s clothing boutique for a gift for her. Need a gift for the cook in your life? Check out gift baskets from Brovelli Oils, Vinegars, and Gifts. And you must satisfy your sweet tooth with cookies and banana bread from Kenneth and Tamara, the founders of Royal Cheesecakes & Varieties. Find candles, metal sculptures and bath goods at Imurj, and the coolest designer socks for the man about town at ExecSocks. Also at One Exchange Plaza, take a Selfie with an Elfie, drop off your letters to Santa, and donate canned food for the Second Harvest Food Bank of NC. The Raleigh Christmas ParadeⓇ was started 74 years ago by the Greater Raleigh Merchants Association as a gift to the city from the merchants who helped build our local business community. This year you can give back to those merchants by shopping local on November 17 during the parade! 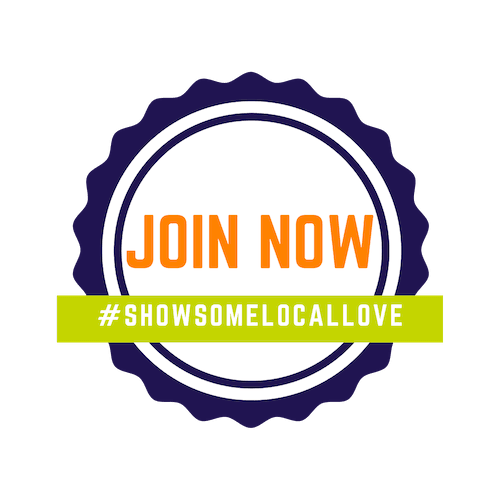 Shop Local Raleigh invites you to #Showsomelocallove and #shopsmall at the Christmas Village Market this Saturday! Meet the Owner-Claire Roberts, Claire Roberts Style Will You Shop Small This Holiday Season?